Modern technology has progressed to the point where detecting and preventing surges has become an exact science. 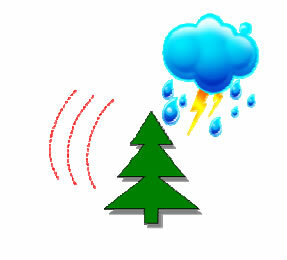 Insurance companies now even insist on custom designed home and office surge protection systems. Contrary to popular belief, direct lightning strikes only account for a small percentage of damage to electrical and electronic systems. The majority of the damages are caused by inductive coupling and ground potential differences. It is therefore important to pay attention to both the earthing of installations and the fitting of surge and lightning protection devices especially in South Africa. When lightning strikes a conductor directly, surges travel into the installation via existing cabling. These surges then discharge to earth through your equipment which often leads to catastrophic damage of your equipment. 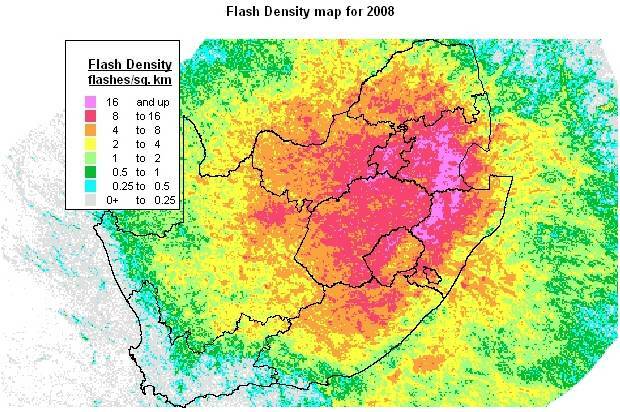 Lightning can also cause induced surges. When lightning strikes an object it generates an electromagnetic wave which induces surge currents within electrical cables as far as 500m away from the impact area. These induced surges once again “look” for a way of equalising and often it is electronic equipment that provides that equalisation. When lightning strikes the ground or an object which is grounded, a voltage potential exists at the point of impact for the duration of the strike. At the same instant one could theoretically measure a lower potential at some distance away from “ground zero”. The further away from ground zero you measure, the lower the potential would be. When one or more buildings are earthed at more than one point, the electrical wiring connecting the earth points provides a low resistance path across the potentials just mentioned. Since current flows from a higher potential to a lower potential and through multiple current paths, it stands to reason that it may flow through the cabling connecting the two earth points. In reality, a greater portion of the current in a strike will flow through the buildings cabling as this provides a lower resistance than the ground. The result is that any equipment connected to this wiring forms a part of the circuit and could suffer damage. It is vital to pay attention to the actual earthing of an installation. Particularly if more than one building is involved or if different earthing spikes are used at various points in the installation. 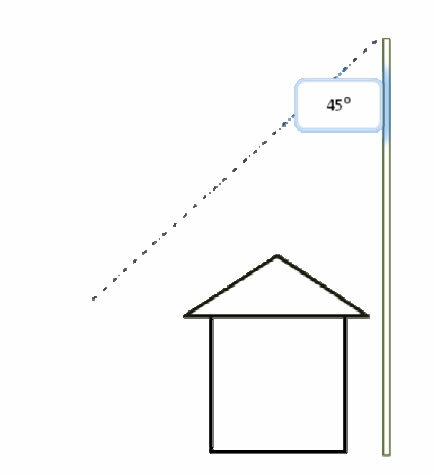 The use of more than one ground earthing point can be counterproductive as during a lightning strike a potential difference will buildup between various earthing points and the nearest available electrical or communication cables will carry the equalising current and cause major damage (Fig 1.2). It is therefore important that all earthing points and the incoming mains earth are bonded together. When designing an installation, often shortcuts are taken by installing earthing rods at various points where earthing is required instead of bonding the entire earthing system using a solid low resistance earth bonding cable or strip. If lightning masts are use then they must be considerably higher than any other structure to provide protection for any underlying installations. Surge suppression is an important function of any power protection system. Surges are capable of causing severe damage to computer hardware. However, it must be understood that surges represent a very small fraction of the types of power disturbances that affect computer operations except in areas where severe lightning strikes occur. Under voltage conditions, including dips, sags, brownouts and blackouts are responsible for most computer malfunctions and data loss (in some installations ground noise can be a significant problem for networked or multi-user systems). To understand why surges represent only a small fraction of computer power problems, it is necessary to become familiar with the statistics of power disturbances and the susceptibility of computers to these disturbances. Data line surge suppression is often as critical as power line surge suppression. Surges come in may different sizes (voltages), with the large surges (over 1000V) occurring much less frequently than the smallest (tens of volts). A typical site may experience hundreds of surges of 50V or greater per hour but only one or less surge of 1000V or greater per year. This conclusion is based on data from studies done by notable IT Companies and laboratories. The actual statistics at a given site may be considerably different, particularly if the site is in a high risk surge area. Surge reduction can be accomplished by many different techniques. The more complex techniques, such as those employed in isolating or “series” designs are more expensive but offer improved performance. The simplest and most common technique used for surge suppression is the “shunt” or “parallel” system. 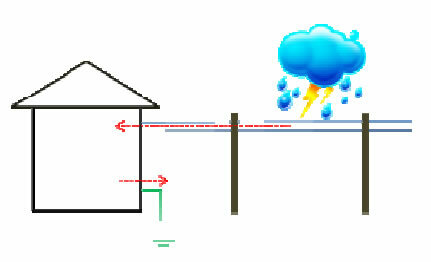 In this system, a clamping device is placed across the AC power lines. The most inexpensive designs of the “shunt” type use a simple Metal Oxide Varistor (MOV) clamping device. This type of suppressor has clamping voltage of around 275 to 400 volts which means that 275 to 400 volts is the threshold at which surge suppression begins. Therefore, with this type of suppressor, surges of less than this threshold value of 275 volts are passed through directly to the user’s equipment! Protective action begins above the clamping voltage, and surges larger than the clamping voltage are limited by the surge suppressor so that the user equipment never sees more than the clamping voltage. This design also has a characteristic response time called the “clamping response time”. This means that the suppressor takes time to react and may pass through spikes of very short duration without clamping action. This type of surge suppressor is really designed to protect against catastrophic equipment damage and is better suited for use with household appliances than for sensitive loads like computers. More than 90% of the surge suppressors sold today are of this type. The next level of sophistication combines the shunt type MOV clamping device with an EMI/RFI filter. The EMI/FRI filter is a useful feature but frequently interacts (rings) with the surge clamping device and will clamp large transients. Many of the better “computer-grade” surge suppressors are of this type. In South Africa it has recently become legislated that all LINE – NEUTERAL shunt devices (MOV) must have a thermal fuse installed to prevent thermal degrading of your surge equipment. International specification (IEC 60664-1) to which most of today’s equipment will comply, specifies the maximum differential mode surge that the equipment should be able to withstand without damage is, 1500V. A surge or a spike is a transient voltage that lasts for only a split second. There are two types of protectors fitted. On the live a metal oxide varistor (MOV) unit is recommended and for the neutral a spark gap or as it is also referred to an N-PE type. The value in fitting both is in the way they are configured to ensure that surges over 1500V are bled off to earth and don’t travel around the indoor wiring. In the past it was common to fit the MOV type protectors between line and earth and neutral and earth. This, however, does not provide the protection required as referred to in the IEC 60664-1 specification as can be seen in Figure 1. The differential mode protection level is now 900V (single device between live and neutral conductors), while the common mode protection level is 1400V (900+500=1400V) which is within the specifications of equipment conforming to the IEC specification. The spark-gap protector reduces the potential difference between N-PE to around 40V which ensures that the N-PE conductors are referenced as closely to each other as possible during a surge event. This, in turn, eliminates the possibility of “spark over” between neutral and the earthed chassis of equipment. Automatic voltage switches are also very important pieces of equipment that should be taken seriously when protecting your installation from surges, when you have a power failure( blackout or brownout) your AC supply voltage to your home or office will disappear, once the mains supply returns most often it is accompanied with a large spike in the voltage for a few milliseconds. The automatic voltage switch will register that mains has returned and for a prescribed period it will keep your supply from your returning AC to the load in order to prevent your equipment from taking the force of the incoming surges. interference on the power line caused mostly by non-linear loads. demand or insufficient load capacity.